Did you read all about it? 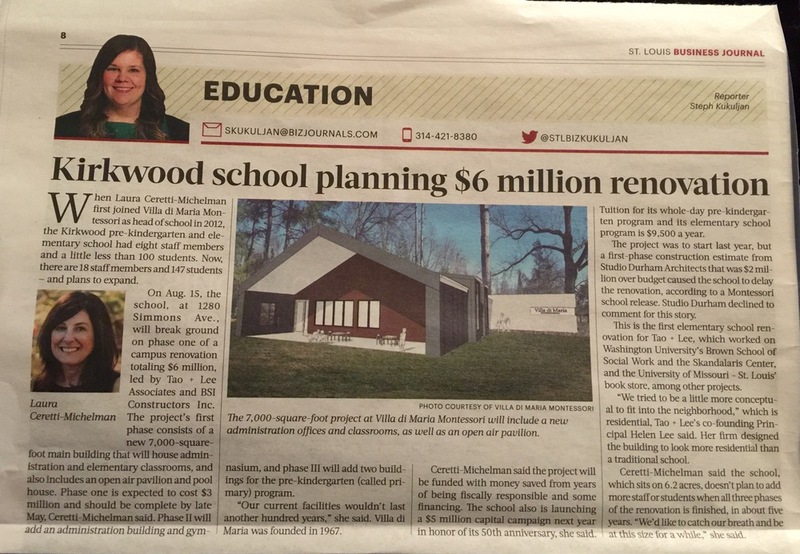 Villa di Maria Montessori School’s upcoming construction was featured in the St. Louis Business Journal last week! Next Next post: VdM’s Summer Reading Challenge!